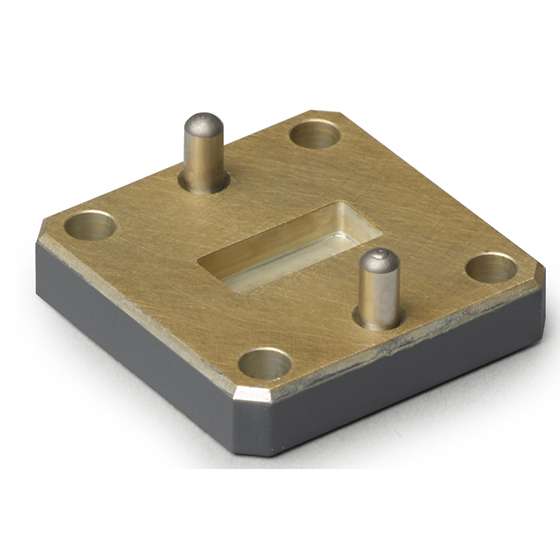 The 23 series 1/8 offset shorts are banded waveguide components used for waveguide calibrations. Waveguide calibrations require an alternative calibration than a coaxial SOLT (Short-open-load-thru) because an open waveguide standard is generally not very reflective so the use of offset shorts is generally accepted as a substitute. 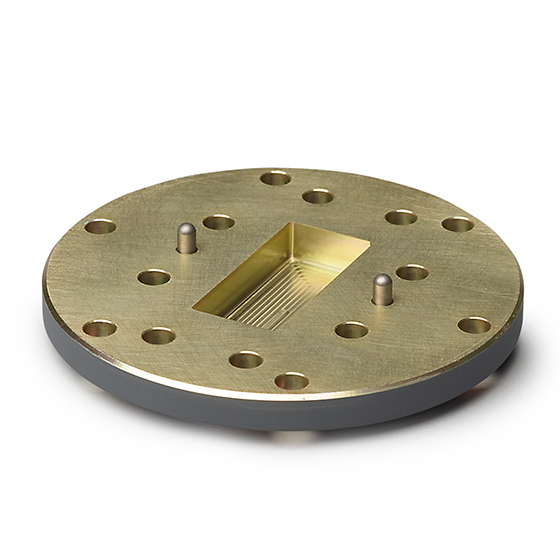 Waveguide calibrations that use offset shorts include SSLT (Short-short-load-thru) and LRL/LRM (Line-Reflect-Line/Match). The 23 series offset shorts are fitted with “precision flanges” that are fully compatible with standard flanges while maintaining accuracy and repeatability. The 1/8 offset section is designed to provide a phase balanced response over the desired waveguide frequency range.